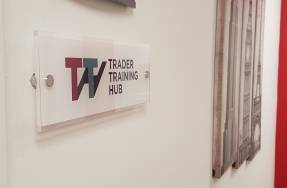 Trader Trading Hub (TTH) now offering evening trading courses for the busier lifestyle. This course is a hands-on 1 week training course for all levels of trader that will help anyone interested progress towards career and financial independence. Delivered outside of the working day between the hours of 6PM UK time and 8PM UK time this trading course will give you the foundation with which to begin your trading career without disrupting those with ongoing commitments. Join us In-House in a City Hotel or Remote if you prefer. This course will teach you the basics about Financial Markets and Futures as well as how to access them and begin trading. TTH will guide you through Direct Market Access and the importance of the Price Ladder as well as teach the importance of Central Banks, news and their effect on the market. We will discuss the basics of Technical Analysis including the beginning of Market Profile and it’s use as well as Risk Management. Our single aim is to teach and guide you towards becoming a better trader. We welcome traders with no knowledge as well as those looking to progress in their trading career and expand their skill-set in trading bonds, forex and stocks.